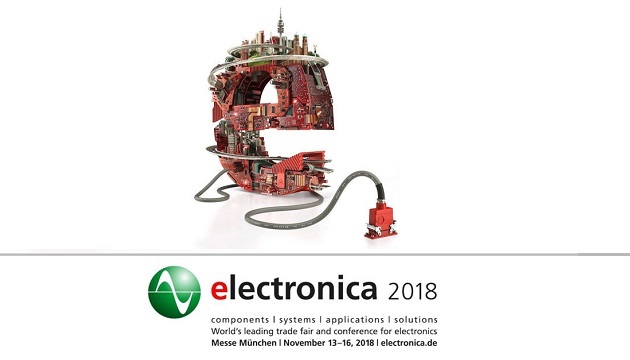 Allegro MicroSystems (Hall C5.232) is showcasing a variety of intelligent solutions at Electronica Munich that give automotive and industrial manufacturers a competitive edge – these solutions include a new coreless current sensor IC. This new coreless IC – the ACS37650 – offers substantial space savings by eliminating the need for a concentrator core in high-current sensing applications, such as electric vehicle traction inverters. 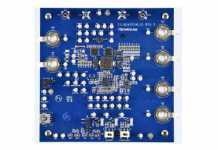 The programmable device provides closed-loop sensing, with extremely low noise and high resolution, and operates over an extended automotive temperature range. Allegro will also be featuring key offerings within its portfolio of market-leading power and sensing ICs. These include solutions for electrified and autonomous vehicles which establishes Allegro as a leader within the automotive industry. An interactive automotive experience allows participants to use an iPad to discover Allegro components in an actual car – positioned in the booth – to experience how they function. Also on display are Allegro’s newest fan and pump motor driver ICs, which feature an embedded FOC algorithm that provides ultra-quiet operation with zero reverse angle start-up. The new Allegro AMT49406 BLDC sensorless motor drivers are shown in a demonstration incorporating an interactive interface that demonstrates zero reverse angle start-up to traditional sensorless start-up. Allegro’s solar offering, which includes galvanically isolated surface-mount current sensor ICs, such as the ACS724MA, are ideal for maximum power point tracking (MPPT) and PV string DC input current measurement. In Allegro’s Electronica demonstration, LED lights indicate the energy flow between solar panels, the power inverter and the power grid. The newly released ACS71020 smart power montoring IC enables load energy consumption monitoring while using a minimum number of components due to its reinforced galvanic isolation. Also featured are the Sanken SX range of high-voltage 3-phase motor drivers, designed for applications in domestic appliances and industrial equipment such as machine tools, weaving machines, fan and pump compressors and factory robots. With ratings up to 600 V and 30 A, the devices are available in single-shunt and 3-shunt versions with both sensor and sensor-less options. Both DIP and surface-mount packages are available. Visit both Allegro MicroSystems and Sanken in hall C5, booth 232.